Sunshine, beautiful mountains and wide open spaces are just a few of the things that make Tucson, Arizona one of the country’s top winter training cities. Miles of trails run through Tucson and surrounding areas like Marana, making the area a haven for bikers, runners, and hikers. Tucson also has many world class pools, gyms and sports medicine centers. No wonder so many people looking to live an active lifestyle choose to call Tucson home. Five mountain ranges surround the city of Tucson, presenting an abundance of hiking and mountain climbing opportunities for all skill levels. The Santa Catalina’s mountain range is the largest and boasts more than 50 separate peaks. Anyone looking for a challenge will appreciate some of the difficult trails on many of these peaks. The Tucson Mountains are the lowest mountain range in the area. Throughout the less challenging trails of this mountain range is the Hohokam ruins, rock art, and old copper mines. If cycling is your thing then Tucson was made for you. There are plenty of reasons that cyclist make this one of their top destinations. Bike Trails Galore- Hundreds of miles of roads that are bike friendly run throughout the city of Tucson. Exploring this wonderful city on two wheels is as easy as pie and there are cyclists from all over doing just that. 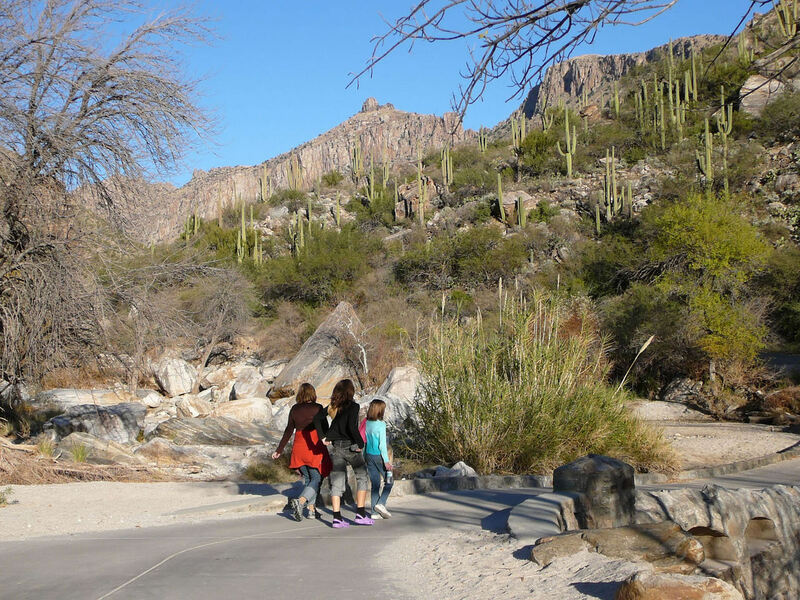 The Loop – The Loop is a 55-mile car-free trail that runs through Tucson. There are dozens of trails for all levels including family friendly trail for that leisurely, easygoing bike ride. Cycling Clubs – With Tucson rating in the top ten for best cycling cities in America you can bet that there are plenty of cycling clubs and events year round. El Tour De Tucson with Perimeter Bicycling and the Shootout Ride from Fairwheel Bikes are just a couple events available in the area. Sunny Skies- The climate in Tucson is mild all year and the skies are sunny just about every day, making it an ideal place to ride a bike as much as you like. You simply cannot beat the awesome weather in this town! If you are seeking out a place to live or visit that will cater to the needs of a living a healthy lifestyle then Tucson is the place for you. Runners will fit right in here with running clubs, equipment, and trails around every corner. Staying fit is easy in this healthy city with endless gym options and world class facilities, including those at The Ritz-Carlton, Dove Mountain. There is nothing better than the joy that comes with being active, healthy, and getting plenty of fresh air. That’s just what you will find here in Tucson, Arizona. Tucson is a city full of adventure, beauty, relaxation, and health. It is not only a wonderful place to visit, but also to live and enjoy daily life.